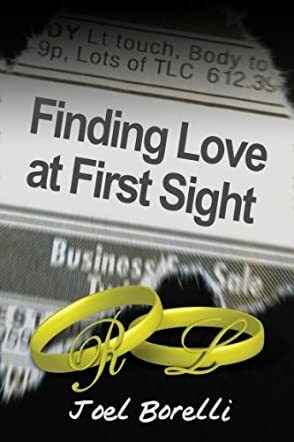 Finding Love At First Sight is a humorous look at the timeless questions: Can you meet someone and just know that is the person for you? What if you meet the right person, but you're only 8, and it is only for a brief moment? Charlie was only eight years old when he first saw Rose. As an adult in his thirties he has had his share of dates and most of them ended in disaster. His dates included a drunk, a stalker, and a police officer. Rose's date life isn't any better. With the help of a friend Charlie begins to search for his mystery girl. Along the way he meets four strange but interesting women. I found this book entertaining and an enjoyable. Author Joel Borelli takes an interesting look at an age old question. Does love at first sight exist? The lead characters, Charlie and Rosalyn were well-developed and played well together. The story dragged a bit in the beginning, and there was a delightful sub plot concerning bumper stickers but it left me with questions that I would have like to have seen further developed. These are minor faults and did not stop me from enjoying the story, which had me laughing out loud. With a few minor changes this good book will be a great book.